The best way to protect a baby or child under the age of 8 in a collision is to have them properly secured in a certified car seat or booster. If your car is involved in an accident, the general recommendation is to replace any car seats which were in the vehicle. This is in order to protect young passengers from injury as much as possible in case of further accidents. There are some exceptions to this rule which have caused confusion for parents. 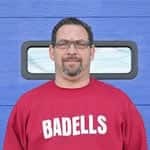 Badell’s wanted to answer parents’ most common questions with clear information. Should the Car Seat Be Replaced After an Accident? Never reuse a child restraint that has been involved in a major collision. According to the National Highway Traffic Safety Association, a car seat in the vehicle at the time of a major accident should be replaced. This is true even if there is no visible damage to the car seat and even if the child was not in it during the crash. Many parents ask why this is recommended. Vehicle safety experts have verified that car seats are impacted by the forces sustained in an accident. You may not see any signs of damage, but crash forces are extreme enough to create small stress fractures in the car seat’s plastic body. These fractures render the car seat or booster unreliable for protecting the child in the future. According to the NHTSA, the seat no longer guarantees a high-level performance in accidents. Unless the car seat manufacturer states otherwise, the NHTSA says replacement isn’t necessary if the accident was minor. In small collisions where the restraint is not subject to significant stress, crash tests have shown that car seats can still be considered safe. There was no visible damage to the car seat or booster. What if the Manufacturer Provides Different Advice? Always refer to the owner’s manual provided by the car seat manufacturer. Some brands advise that the seat be replaced after any type of collision, no matter how severe. In this case, it is safest to follow the manufacturer’s recommendation. Can Car Seat Safety Be Verified After an Accident? Not really. In theory, a specialized x-ray could verify the integrity of a safety seat following an accident, but there is no company or public entity which currently offers this service. Because damage is not always visible, the guidelines call for full replacement of the child seat after any collision that is considered moderate to severe. Will Insurance Cover the Cost of Replacing the Car Seat? Remember, it is never advisable to purchase a used car seat or accept a second-hand model. Even if the car seat is not expired, it’s impossible to know its crash history. Used items are, therefore, not guaranteed to meet safety performance standards. Check with your car insurance provider. Most insurance policies cover car seat replacement if the vehicle has been involved in a crash. They usually provide full reimbursement for a new car seat model or pro-rated coverage based on its value at the time of the accident. An accident report or documentation for the collision repair shop may be requested to confirm the severity of the crash. Have the police document the fact that there was a car seat in the vehicle. What Are the Laws in Pennsylvania About Child Safety Seats? Car seats are required in every state, though some of the specific regulations vary. In the state of Pennsylvania, child safety laws require all children under the age of 4 to be buckled in an approved car seat. Children under the age of 2 must be buckled in a rear-facing car seat. This is required until the child has outgrown the max. weight and height limitations indicated by the manufacturer of the safety seat. Kids between the ages of 4 and 8 need to be buckled in with a booster seat that fits their height and weight. Drivers and passengers of all ages must wear a seat belt. It is dangerous to place car seats in front of airbags. It is also highly recommended that all car seats and boosters be placed in the rear passenger seats of the vehicle. Find the right type of car seat for your child. Check that your child’s car seat is installed correctly. Badell’s Collision Repair cares about your safety. To request information or a quick estimate, use our online form.